Batik, Indonesia’s traditional method of creating cloth patterns through wax-resist dyeing, seems to be having a resurgence, spurred by Malaysian claims to its origin. The struggle to guard and protect one of the nation’s most precious inheritances from our neighbors reached its climax when UNESCO pronounced Indonesian batik a Masterpiece of Oral and Intangible Heritage of Humanity on October 2nd, 2009, which has since become National Batik Day. 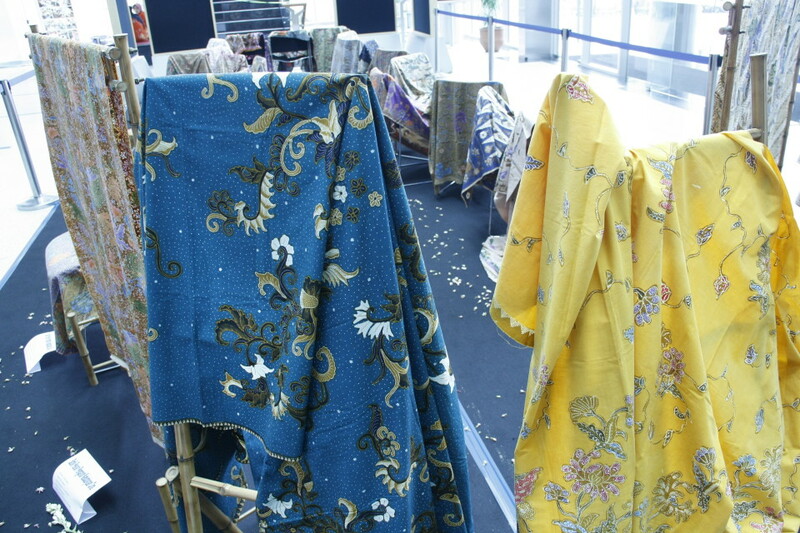 Indonesian people across the archipelago have done a lot to ensure Batik is widely perceived as Indonesian, including holding ceremonies and exhibitions, and providing studies and workshops about batik. 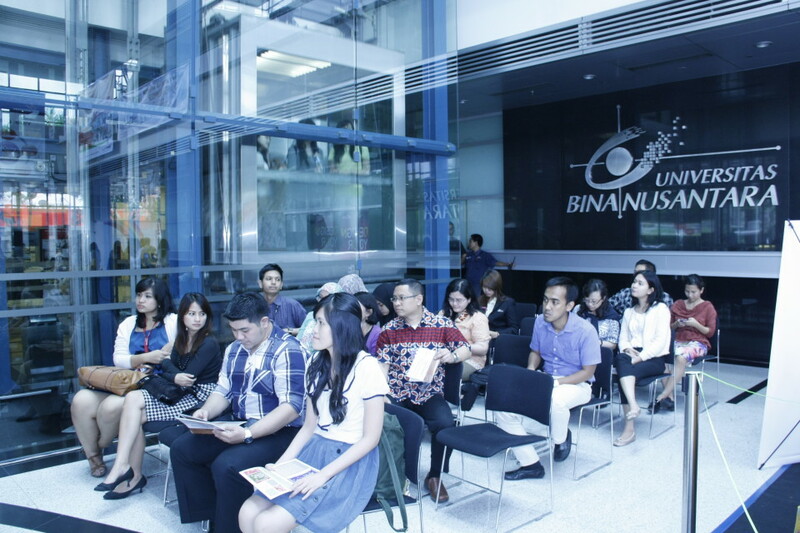 BINUS International believes it is important for the school to do it’s share for Indonesia’s cultural heritage by promoting batik. 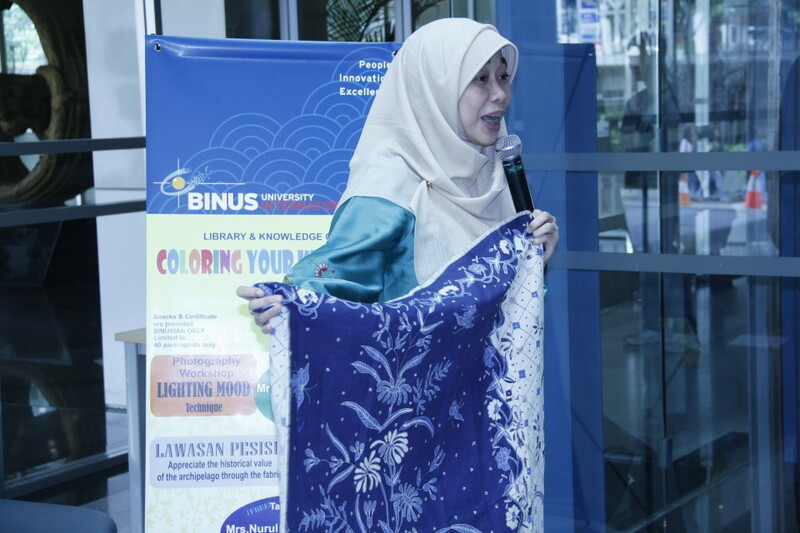 On June 5, the university held a talk show by Nurul Akriliyati, S.Sn., a batik observer and a lecturer of Fashion Fabric at BINUS Northumbria School of Design (BNSD). 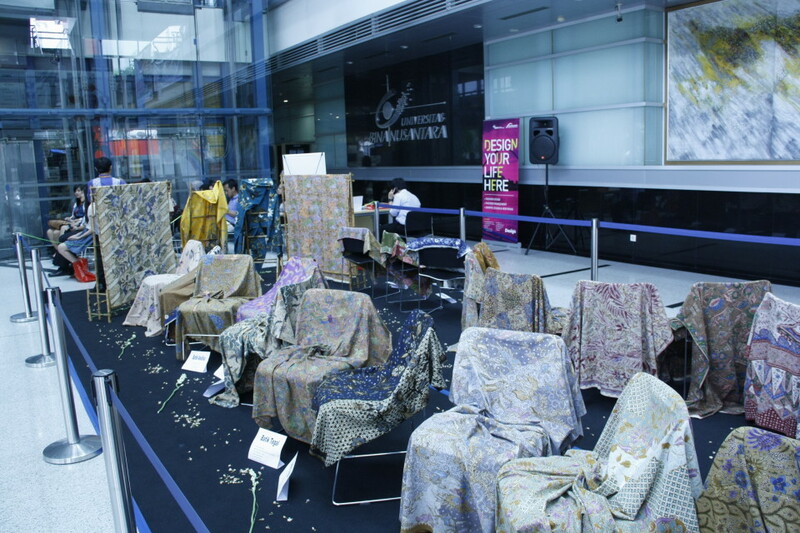 The topic of the talk show was “Old Coast: Appreciating the Historical Value of the Archipelago through its Fabric”. 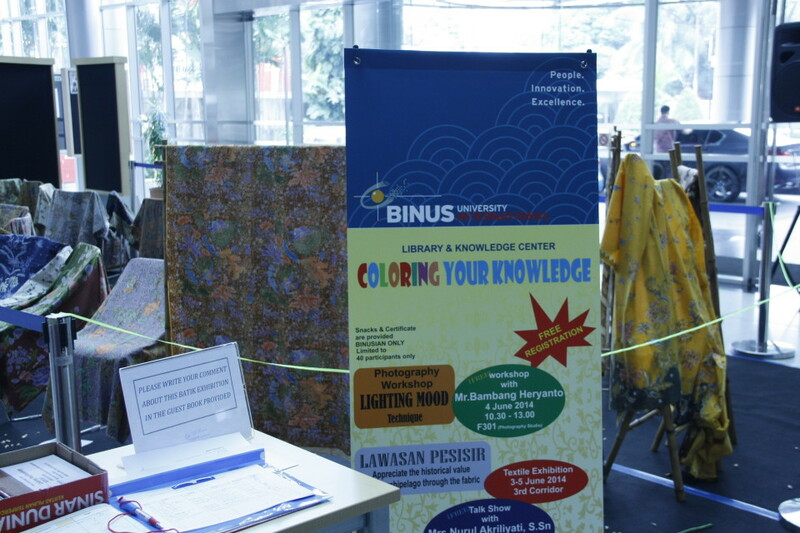 The talk show was part of a series called “Coloring Your Knowledge” held at the Library and Knowledge Center (LKC) from June 3-5 at BINUS International. 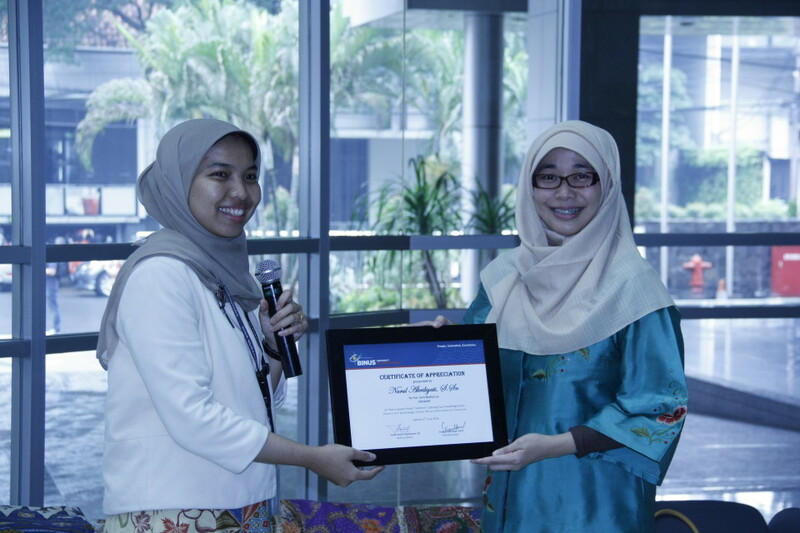 Having observed and studied batik since high school, Nurul seemed to enjoy sharing her vast knowledge about the beauty of batik, discussing her personal batik collections, and deepening the participants’ understanding of coastal batik. “Coastal batik usually has a head and a body. The head of the batik has more complicated patterns and striking colors. An unusual thing about this batik is that many of the patterns have the signatures of the makers , such as Oey Ping Hien, Oey Soe Tjoen, Mv. E Van Zuylen and many others,” explained Nurul. The participants took the opportunity to experience batik making at first hand during a demo session led by the Kampung Palbatu School of Batik instructors. Japanese Culture Festival at JWC Campus!